It was the title “Seeded buckwheat cookies” that first caught my attention. I was perusing through the February 2015 Bon Appetite magazine and immediately bookmarked the page. This recipe appealed to me for so many reasons. The biggest being the use of the buckwheat flour. The first time I used this ingredient I prepared Buckwheat pancakes with cardamom syrup and fresh peach slices. Since that moment I have been hooked on the wonderful earthy and nutty tasting flavor. On top of that one cup each of ground pecans and regular all-purpose flour are added to the mix to create a delectable and delightful cookie base. The dough can be made up to a few days before hand or if you have most of an afternoon free you will have enough time. The dough is a bit delicate and has to be chilled two separate times and rolled out between layers of parchment paper to prevent it from sticking. Powdered sugar is used in the base of this recipe and whipped with butter about 4 minutes until light and fluffy. Two teaspoons of granulated sugar are then mixed along with the “seeds” to be sprinkled on the tops of the "cookie" right before baking in the oven. Place pecans, buckwheat flour, salt, baking powder and 1 cup all-purpose flour in food processor and pulse until pecans are thoroughly ground. Beat butter, powdered sugar and vanilla on medium high speed until light and fluffy. (I used my standing mixer) about 4 minutes. Mixture will turn white and silky. Reduce heat to low and add dry ingredients. (Just enough to combine). Divide dough in half, form into a disk and then wrap each half in plastic wrap. Chill at least 2 hours until firm. Working with one piece at a time, roll disks of dough between two sheets of lightly floured parchment paper to keep dough from sticking, about 1/4 inch thick. Transfer to a baking pan, then remove top parchment sheet. Freeze another 30 minutes. While dough is chilling, mix in a small bowl, the granulated sugar and the black and white sesame seeds. Using a sharp knife cut out 2 inch squares or diamonds from dough and place on baking sheet. Sprinkle with sesame mixture. Bake until golden brown around the edges, 10-12 minutes. Enjoy! Recipe has been slightly adapted from Bon Appetit magazine, February 2015. So far all I've ever made with buckwheat is pancakes. Those were very good. I have a feeling though that I would love these! Cookies of any kind are always my favorite dessert! Hi Abbe, I'm a cookie person too! The nutty flavor of these cookies sounds so good! Thanks Nancy, they were delicious! oh yes! I want some cookies! Cheri, I love the use of pecans and sesame in these cookies! great share, thanks! I love healthy and delicious cookies. Sadly, these days most cookie recipes are loaded with sugar and butter. These look terrific! Thanks Angie, I really enjoyed these. I love how wholesome these cookies are! Love having healthier treats on hand! What an inventive way to use buckwheat flour. Those crackers look amazing! Thanks Mike,we really enjoyed these! Hi Andrea, having quite a busy week so far, thanks for stopping by. I bet these little cookies are great! I've never used buckwheat flour and this would be a good recipe to try it. Have a good rest of the week! 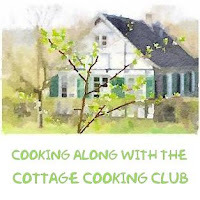 Thanks Pam, buckwheat flour is one of my favorites and it makes the best pancakes. Thanks Monique, buckwheat is especially delicious in pancakes. Hi Amy, I love buckwheat flour too, great flavor. I've yet to find buckwheat flour over here. And I'm wondering if it leaves the dough brittle. Not that that bothers me. I just use a flexible mat for rolling out on, then slip whatever it is I'm baking straight into the baking tin. Easy! Will have to keep an eye open for the flour. HI Johnny, I have not experienced a brittle dough. Dough seems very pliable with a very pleasant nutty flavor. I have never used buckwheat for baking...but I love the idea of lots of nuts and all the seeds in this cookies...they sure look good. Thanks Juliana, I've just started using different types of flour and it has really opened up a whole new world of flavor, a good one. I am sooo intrigued, Cheri. Buckwheat flour is of course the foundation of Japanese buckwheat soba noodles. But I'd never thought to make cookies with buckwheat flour until now =) And with the addition of the sesame seeds, the cookies seem like they'd have a lovely Asian accent. Thank you for the recipe! Hi Kim, soba noodles are my favorite type of noodle. I've made pancakes and now these cookies with the buckwheat flour and both were delicious. These cookies look amazing! !!! love them Cheri! Thanks Charlie, hope you are having a great week. 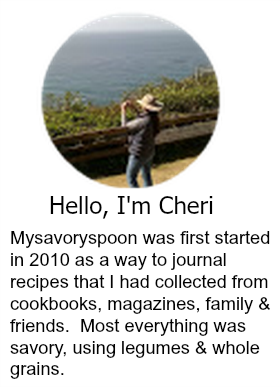 Hi Cheri, I've never prepared anything with buckwheat flour and was intrigued upon opening your Post yesterday. Interesting to give a try. Thanks for sharing! Thanks Peggy, buckwheat flour is my new favorite. These sound wonderful Cheri - love the earthy nutty flavor of buckwheat and love cookies so I'm sold! Thanks Tricia, buckwheat is quickly becoming a favorite. Hope you are having a great week! What a lot of flavor this has! Love the idea, and the cookies look so interesting, too. Fun stuff -- thanks. Thanks John, we really enjoyed these. Those pancakes sound amazing - finds me wishing I had some buckwheat flour on hand right now : ) The cookies sound good as well. I have never actually cooked with buckwheat flour but I may have to change that. Thanks Mindy, buckwheat flour has a very pleasant nutty taste. The title of this recipe totally got my attention. I have been wanting to try some buckwheat crepes (and use buckwheat flour) for so long. These look wonderful; I love the sound of the sesame seeds with this nutty flour! Hi Monica, oh you won't regret it. These sound delicious. My husband and I are both allergic to nuts, but can eat pine nuts. I wonder how this cookie would do if I subbed them in for the ground pecans? I use buckwheat flour when I make crepes sometimes, and agree - I love its unique nutty flavor. Thanks Susan, not sure how pine nuts would work, but it's worth a try. Have a great week. I've been eyeing these in Bon Appetit as well! Buckwheat is such a distinct flavor for baking, and I could totally see it working in these crackers!! Hi Joanne, yes it totally works! Such a scrumptious recipe, Cheri. I just love bon appetite! You are a skilled baker and I'm quite intimidated by this whole process, lol. Love the addition of buckwheat. You are inspiring! Thanks Robyn, have a great week. I've never baked with buckwheat flour, and this looks like a great way to start! Hi Beth, these cookies or some pancakes. These sound like they'd be a wonderful mid-morning snack, Cheri. Healthy but tasty enough to feel like a treat. I love the sound of using the ground pecans! Thanks Helen, I'm guessing walnuts would work well too. It's funny how certain recipes jump out at you from the pages of a magazine. I've never made cookies with buckwheat flour, what a great idea! Hi Chris, buckwheat flour is quickly becoming one of my favorites, especially for pancakes. My Daughter has been doing a lot of baking with Buckwheat flour, Cheri. I can't wait to share this yummy recipe with her. Thanks Louise, would love to see some of her recipes, I really enjoy baking with it as well. I love Buckwheat flour! I can bet that these cookies taste delicious! Thanks for sharing, Cheri! Hi Marcela, I love baking with buckwheat flour, have a great week! I saw this recipe in Bon Appetit and was intrigued because I love buckwheat and had just made coookies with it. Thanks for the warning that the dough is on the touchy side. I'll be sure I have enough time to fiddle with it if necessary. Thanks Cathy, these are delicious but a little time consuming, thanks for stopping by! Hi Lily, hope you like them, thanks for stopping by. I love buckwheat, it has such a beautiful color and flavor...we eat cheese and crackers for dinner more often than I'd like to admit, and these would elevate the whole thing! Hi Sue, I love cheese and crackers, my go to for lunch. Have a great week! Hi Betty, I love the pancakes too, did not know bees like buckwheat. Thanks for stopping by. Hi David, love the story of Babette's Feast.... Buckwheat flour is quickly becoming one of my favorites, love the nutty flavor. Wondering if you had much rain the last few days, we did not get as much as was expected here. I've never used buckwheat flour in anything before but your description of the nutty flavor has my curiously piqued! I'd love to try these! Thanks Susan, oh it's so good, especially in pancakes or crepes. Take care! Looks great, Cheri! Love the diamonds! Love that you used pecans, too!!! Thanks Julie and Alesah!! appreciate you stopping by. Cheri I love how they look and I love seeded cookies too! Definitely trying these! Wow, these are so pretty. I've never used buckwheat except for pancakes. You've really opened my eyes. Thanks Sam, this was the first time I made cookies with buckwheat, was a little more work, but the taste was worth it. I love the color of buckwheat flour. I don't think I've never used it for cookies--yet. These look so good with the sesame seeds on top! Thanks Lisa, will have to try buckwheat groates next, love the recipe you just posted. I love what you did with these cookies, I saw them but never would have made them, now I have to try them, that's for sure! Hi Phi, we loved these, they were not super sweet, just right.